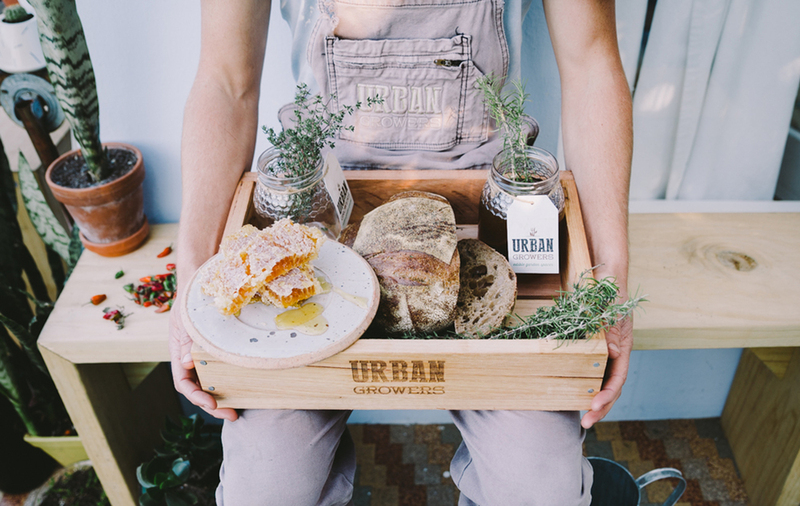 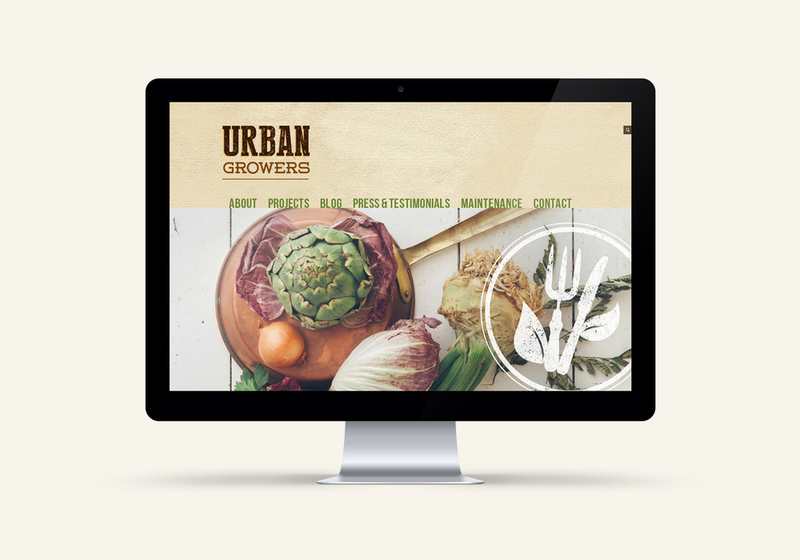 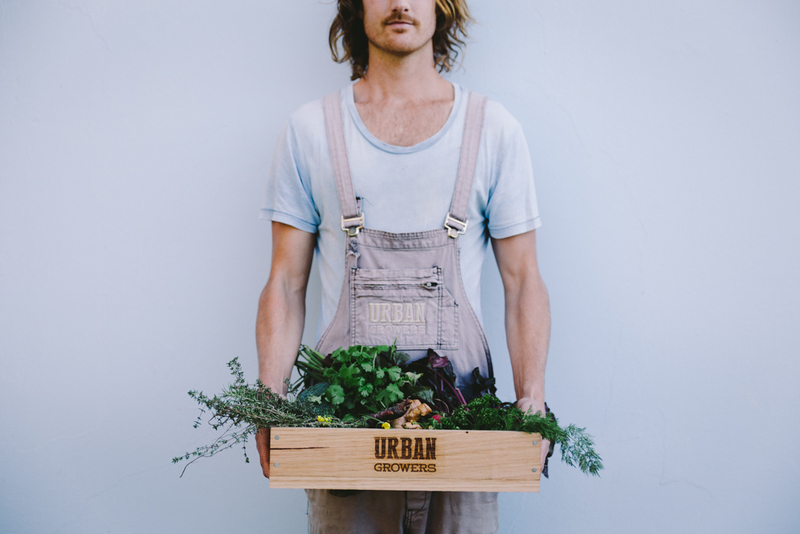 Urban Growers create edible and sustainable gardens in urban environments. 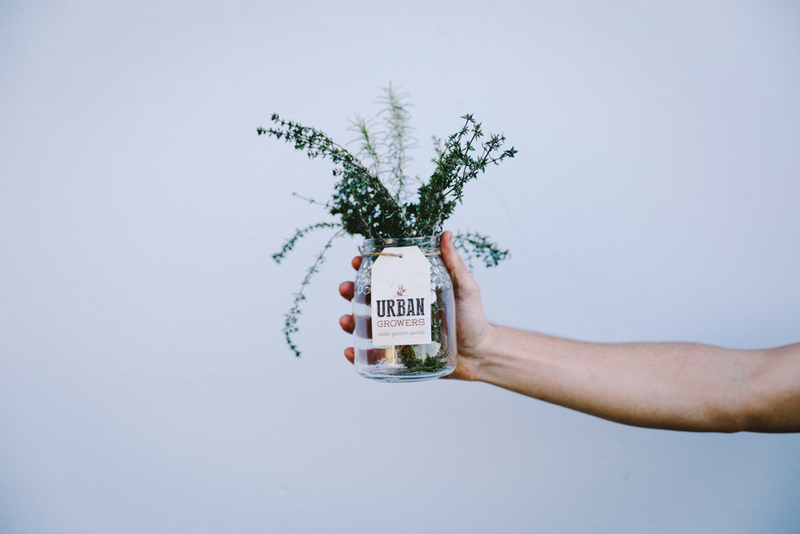 As a plant lover I may be a little bias, however I think the work they do is pretty great and it was easy to be inspired to create a strong, memorable brand that could roll out across uniforms, web, tags and packaging and wooden crates just to name a few mediums. 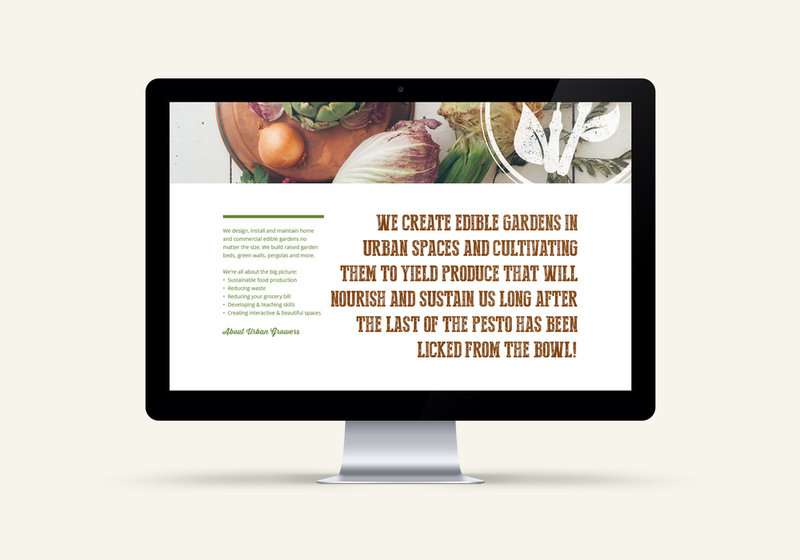 The branding is super bold, balancing textural and natural with professional elements to appeal to all clients from Kitchen by Mike to Qantas.